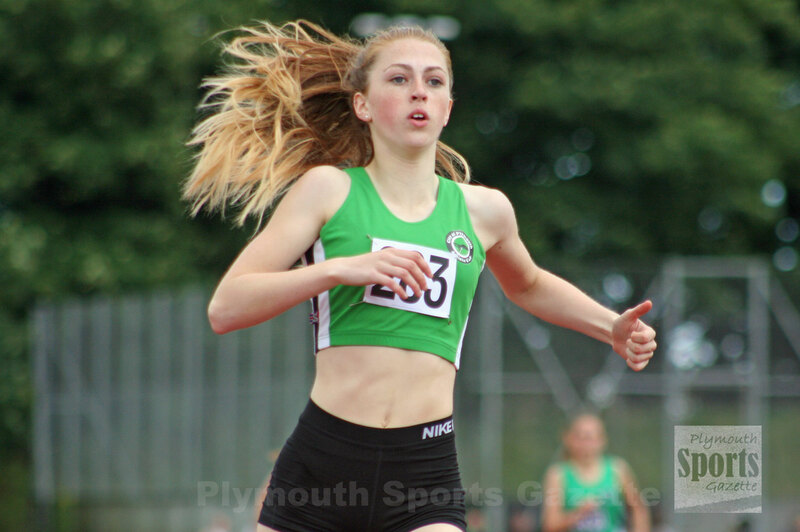 CITY of Plymouth’s Emily Bee produced her best 80m hurdles form of the season to win a bronze medal at the English Under-17 Championships at Bedford on Sunday. Bee set a new PB on her way to a podium placing and was only one hundredth of a second off winning silver. In the same event, her City of Plymouth team-mate Sammie Harris finished fifth. 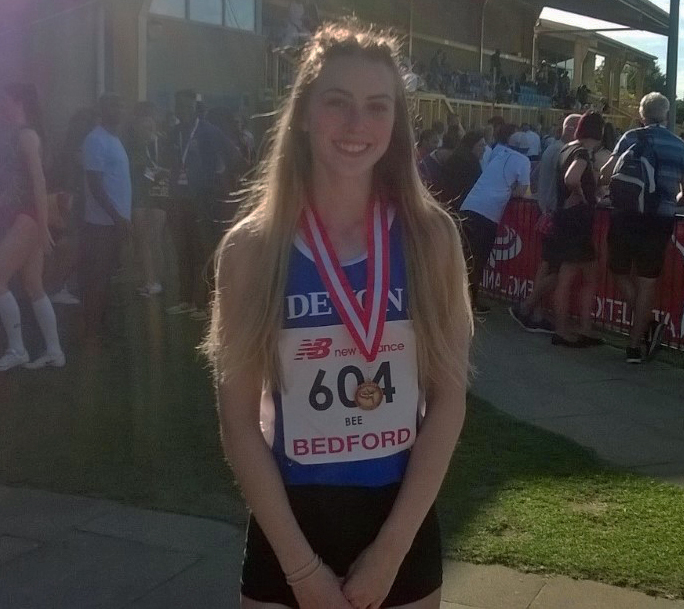 That was a role reversal from the English Schools’ Championships where Harris took bronze and Bee came fifth. Bee seemed to enjoy having three races in one day at Bedford, unlike Harris, who produced her best time in her first run. Both Harris and Bee won their heats in the morning session. Harris was fastest out of all the entries with a legal run of 11.20 seconds, which was just 0.03 of a second off her PB. Bee clocked 11.31 seconds to win her heat. In the semi-finals, both Bee and Harris came second. Harris ran 11.30 seconds in the first semi, while Bee produced a storming 11.17 seconds in the other. That was a lot quicker than her previous best of 11.31, but it was wind-assisted. However, in the final Bee did set a new legal PB of 11.21 seconds to finish behind Kingston’s Pippa Earley and Croydon’s English Schools’ champion Marcia Sey. It did look like Bee might have got second but Sey was given it in a time of 11.20. Earley became the first British under-17 to go under 11 seconds in the 80m hurdles. Harris clocked 11.34 seconds in the final. She was just one hundredth of a second of fourth-placed Emily Race.